This is the time of year when families drive around and look at holiday lights, all the while noticing the homes with appealing architectural features and well-designed elements. Spotlights on the front door wreath, lights on the porch railing, and candles illuminating each of the windows mean your house either shines, or falls flat. This is a great time to take a look at your house from a curb appeal perspective and ask yourself if it’s time for new doors, shutters, roofing, windows or siding. According to Remodeling Magazine, you’re less likely to recoup your investment in a major kitchen or bathroom remodel than you are to get back what you spend on smaller, basic home improvement projects. Siding replacement recouped 95.5 percent of its cost in resale value, according to the study. Replacing doors and windows were also high on the list. Entry door replacement (when opting for a steel upgrade) can recoup an impressive 141 percent of its cost in the Chapel Hill, NC area! Your home has served you well for many years, but this winter it’s time to address the things you like and dislike about your home. 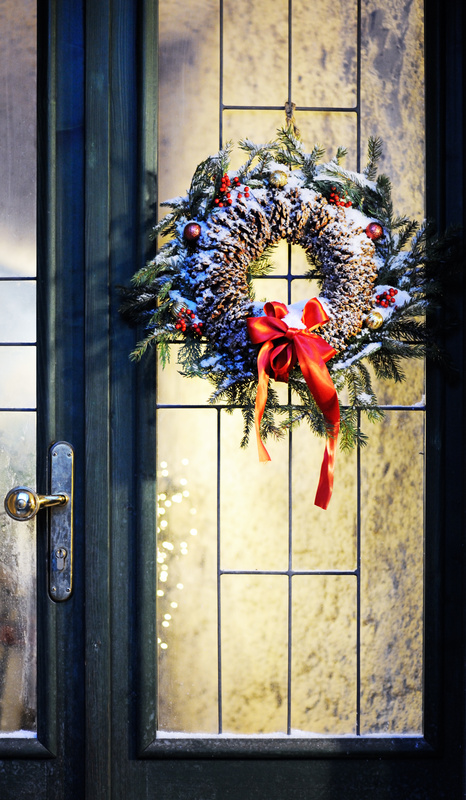 Give the home improvement experts at Gerald Jones Company a call to begin planning the upgrades your home has on its wish list this year, so that yours can be the star of the neighborhood year round. We can do this work in any season – these aren’t just summertime projects. Get ahead of the curve and be locked into contractors’ schedules now to ensure your project is top priority, so you can enjoy the improvements to your home before winter is even over. Call today at 919-286-1700 to set up a free consultation appointment. This entry was written by Gerald Jones Company, posted on December 22, 2015 at 2:10 pm, filed under Uncategorized and tagged curb appeal, entry doors, Holiday, home improvement, home improvement contractor, replacement windows. Bookmark the permalink. Follow any comments here with the RSS feed for this post. Both comments and trackbacks are currently closed.